Puzhungal arisi (boiled rice) kozhukattais are one of the most popular evening snack in Tirunelveli. 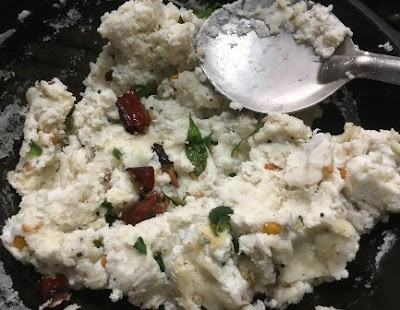 We can prepare this kozhukattai either by grinding the rice or by using good quality rice flour. Kozhukattais prepared by grinding the rice are softer than the kozhukattais made with rice flour. 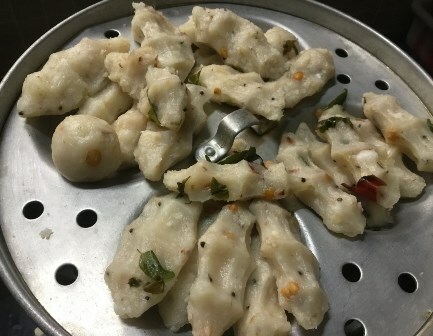 If you plan to make kozhukattais with rice flour, use hot water for kneading the dough so your kozhukattais will be soft and easy to cook. 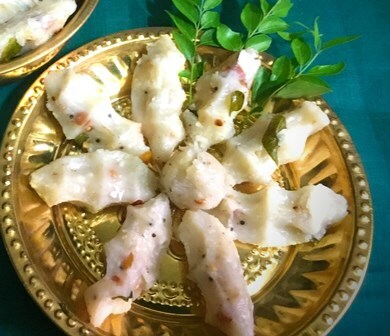 If possible, choose fresh curry leaves and fresh coconuts for this kozhukattai. For most of the kozhukattais we use fresh coconuts which adds an exotic taste to it. If you use coconuts which have water content fry them along with the sauted ingredients and then add the ground rice batter. If it has less water content, you can add the coconuts in the end. 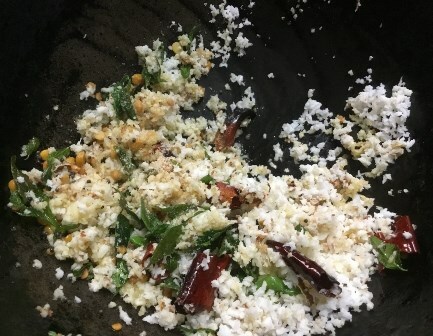 Making kozhukattai is one of the interesting part in this dish. You can make medium balls or after preparing oblong shaped balls a slight press is made in the centre to prepare kozhukattai. Now let's see how to prepare this Puzhungal arisi Kozhukattai with step by step instructions. Puzhungal arisi(boiled rice) kozhukattais are one of the most popular evening snack in Tirunelveli. We can prepare this kozhukattai either by grinding the rice or by using good quality rice flour. Wash the rice 2 to 3 times in water and pour 2 cups of water. Soak the rice for 2 hours. Take a big mixer jar and add the soaked rice. Add 1/2 cup water and grind it. Now add the required salt and grind it nicely until the batter is almost smooth. Heat 2 tbsp gingely oil in a hard iron kadai or non stick kadai for 2 minutes. Reduce the heat and add the mustard, urid dal and broken red chillies. When it pops up and urid dal turns golden brown, add the chana dal, curry leaves, asafoetida powder and the grated coconuts. Saute them for a few seconds. Next, slowly transfer the ground batter into the kadai. Rinse the mixer jar with little water and add it to the dough. Stir the dough with the ladle until the water content in the dough absorbs.Transfer the dough to a wide bowl. Then knead the dough for 2 to 3 minutes with your palm. Now grease your palm with gingely oil. Divide the dough into two halves. Prepare one set by rolling small balls and the other half by small oblong shape balls and gently press it with your fingers in the centre. Repeat the process for the entire dough. Place the kozhukattais on the greased idly plates. Place the idly pot on medium heat and cook the kozhukattais in batches. When the kozhukattais are cooked well and slightly transfer them with a spoon. Serve it hot with a cup of filter coffee. Measure and add the rice in a bowl. 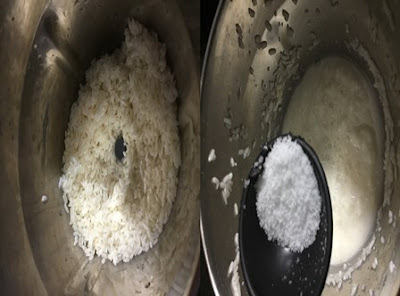 Wash the rice 2 to 3 times in water and pour 2 cups of water. 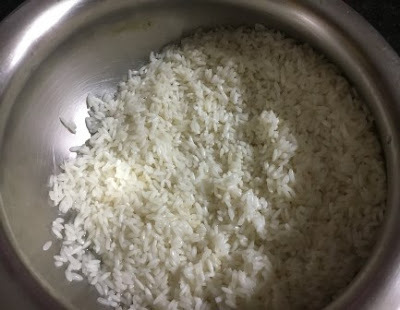 Soak the rice for 2 hours. After 2 hours, drain the water completely. Take a big mixer jar and add the soaked rice. Add 1/2 cup water and grind it. Add the required salt. Grind it nicely until the batter is almost smooth. 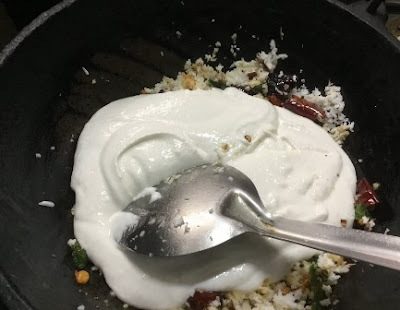 (If you are preparing with rice flour, add these sauted ingredients and salt to the rice flour and knead the dough with hot water and then prepare the kozhukattais). Next, slowly transfer the ground batter into the kadai. Rinse the mixer jar with little water and add it to the dough. 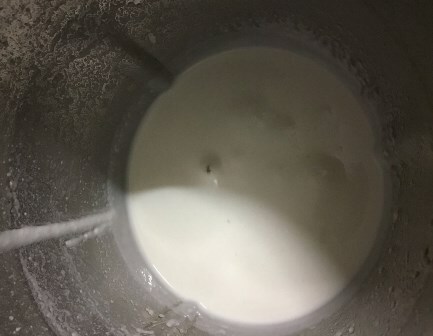 Stir the dough with the ladle until the water content in the dough absorbs. Transfer the dough to a wide bowl. Then knead the dough for 2 to 3 minutes with your palm. Now grease your palm with gingely oil. Divide the dough into two halves. Prepare one set by rolling small balls and other half by small oblong shape balls and gently press it with your fingers in the centre. Repeat the process for the entire dough. Place the kozhukattais in the greased idly plates. 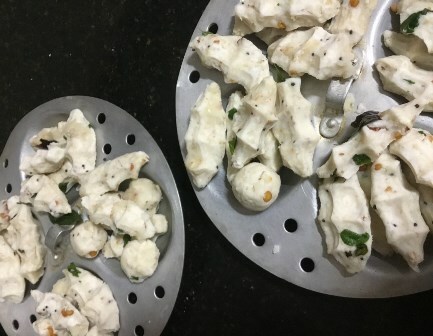 Place the idly pot on medium heat and cook the kozhukattais in batches. When the kozhukattais are cooked well and slightly transfer them with a spoon. Hot and healthy Puzhungal Arisi (boiled rice) kozhukattai is ready to serve. Serve it hot with a cup of filter coffee. 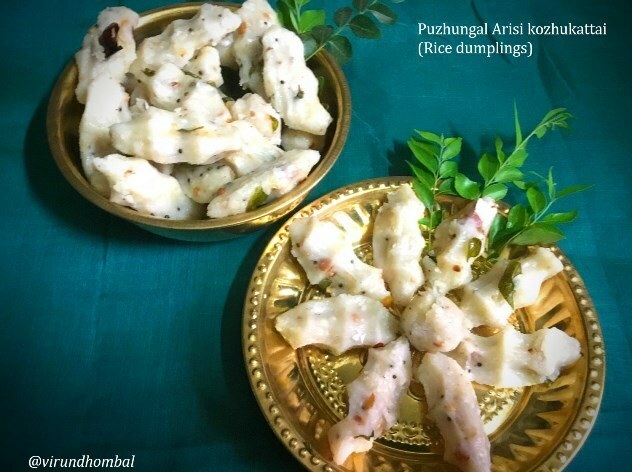 If you try this recipe for Puzhungal Arisi(boiled rice) kozhukattai | Rice dumplings leave your comments below and share the recipe for your friends and family.